Struggling F1 team McLaren-Honda has expanded the use of Stratasys’ FDM and PolyJet 3D printing solutions in an effort to close the gap between themselves and the front-running teams on the grid. The British outfit is utilising 3D printing to produce components for its 2017 Formula 1 MCL32 race car with the goal of ‘accelerating design modifications’ and ‘reducing weight to increase performance’. The Woking-based team – which has already 3D printed components for a hydraulic line racket, a flexible radio harness location boot, a carbon fibre composite brake cooling ducts and rear wing flap – will also be bringing a Stratasys uPrint SE Plus to track testing and races on-site to further accelerate design and manufacturing cycles. McLaren’s Design and Development Director Neil Oatley said the ability to test new designs quickly was critical to making the car lighter and more competitive. “If we can bring new developments to the car one race earlier – going from new idea to new part in only a few days – this will be a key factor in making the McLaren MCL32 more competitive,” he said. Stratasys is the official supplier of 3D printing solutions to the McLaren-Honda team under a four-year agreement that was signed earlier this year. Under the agreement, Stratasys has committed to supply McLaren with its latest FDM and PolyJet based 3D printing solutions and cutting-edge materials for visual and functional prototyping, production and composite tooling, and customised production parts. 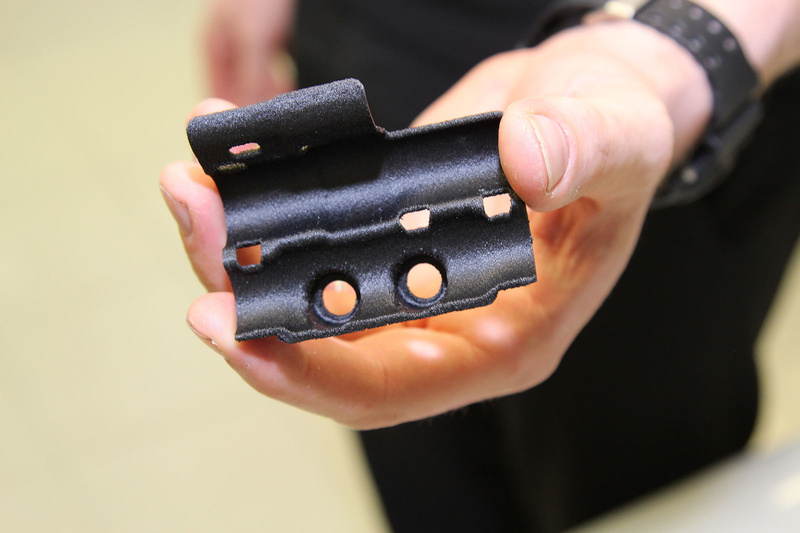 “Formula 1 is one of the world’s best proving grounds for our additive manufacturing solutions. As the Official Supplier of 3D Printing Solutions to the McLaren-Honda Formula 1 team, we are working closely together to solve their engineering challenges in the workshop, in the wind-tunnel, and on the track,” said Andy Middleton, President, Stratasys EMEA.